David Flemming was born in Pei-tai-ho, China to missionary parents on July 3, 1927. 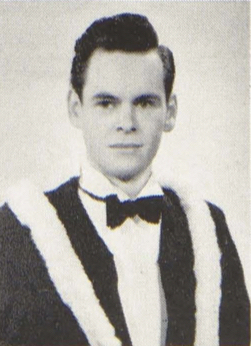 He graduated with a degree in architecture from the University of Manitoba in 1950, the year of a record Winnipeg flood. He moved to the Niagara peninsula, where he began what was to be a rewarding career in architecture. He practised in Niagara for more than 25 years, and designed such visionary structures as the Provincial Courthouse in St. Catharine's, the original pub 'Alfie's Trough' at Brock University, a number of schools, and his mid-century modern home in Effingham, Ontario. David Flemming died on May 2, 2014.